There are now a few 'great players' lists from the 1980s and beyond available. To see how they were rated against their own contemporaries and the evolution in thinking. This comes in various forms such as votes by peers, journalists or simply just one list by a (reputable) name. I wonder whether anyone has an idea for the 1970s and earlier? For the mid 1950s I have two books, albeit from an Dutch-Belgian perspective (the Dutch author was of Italian descent). One of them has become a classic and sort of the 'ultimate' reference, but the other is also good (a yearbook from 1954 with an encyclopedic section). I'll start with the encyclopedia from 1955. The small booklet on the right shows the additions and corrections by 1956. The first page shows the editors, the other scan the remaining co-operators. I've used and references this encyclopedia before for the (known) tactical systems of the time. peterhrt and Tom Stevens repped this. There are also entries about specific countries or specific events (like the 'match of the year' by the English FA; or the 'FIFA XI'), with many familiar names mentioned in the entries. But below are only the players who had an individual entry, rather than a (detailed) mention as part of a write-up for a national team, club team, event or incident. Stanley Matthews is mentioned "the most famous wing player England has ever produced" and elsewhere even "probably the most famous professional football player in Europe." In 1956 Ferenc Puskas is added as addition (went to print September 1956). Interestingly, but not 'bizarrely' given age and career, in the 1954 yearbook Alfredo di Stefano has an entry - much is about the controversy surrounding him and his club - but not in the 1955 encyclopedia or the 1956 revision. 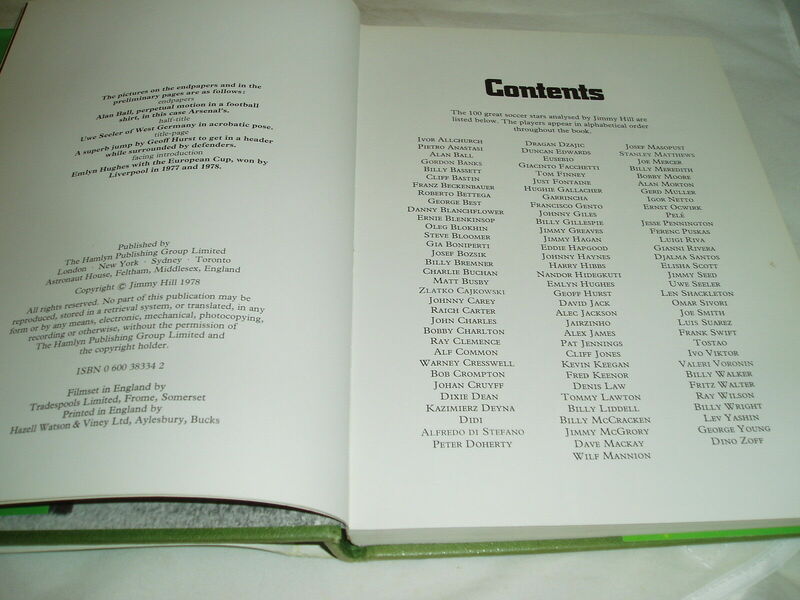 The 1954 yearbook has the same editor and a number of the same contributors. The names are ordered alphabetically but for a clearer overview I do it this way. I don't claim it is perfect but it is indeed a 'famous' an well-produced work (and better than 'nothing'). comme, peterhrt and msioux75 repped this. Ferenc Puskas (b. 2 April 1927) got a mention in the 1956 revision, but he isn't in the 1954 yearbook. The 1954 yearbook had also entries about these players, who for reasons of their own did not appear in the above mentioned encyclopedia. Ivor Broadis (England - 18 December 1922). Because he unseated Tommy Lawton as the most expensive player. Juan Schiaffino (Uruguay - 28 July 1925). "Whose game caught the eye during the world championships." Then already player of AC Milan. Alfredo di Stefano (Argentina - 4 July 1926). Ernst Stojaspal (Austria - 14 January 1925). Fritz Walter (Germany - 31 October 1920). edit: the oldest players mentioned are Vivian Woodward (b. 1879), Alex James (b. 1901) and then Planicka (b. 1904). The youngest players mentioned are Bonifaci (b. 1931), Derek Dooley (b. 1929) and then Puskas (b. 1927). msioux75 and peterhrt repped this. Overseas players mentioned in Ivan Sharpe's 'Soccer Top Ten' book, published 1 January 1962. The ones with ** had (I think) notable years between 1954 and 1962. The ones with * match with the list above. Unless I'm overlooking a name of his? Interesting is that he mentions a couple of overseas goalkeepers but not Planicka. In this one Nordahl wasn't mentioned, by the end of 1959 (November). Supporting the theory he'd fit best inside 1945 - 1955 I assume. edit: see now he also had a mention for Nandor Hidegkuti (Hungary), twice. msioux75, PDG1978 and comme repped this. I'll try to collect what 'we' have for the 1950s to 1970s (already posted here). Oliver Gaspar and Andre Funyik were two Romanians travelling around Europe. The first name was a trainer and had also worked with Sandor Kocsis. The second name had work published in Spanish and French as well, especially Spanish. The book had a foreword by Sandor Barcs, apparently the Hungarian FIFA and UEFA vice-president at the time. He has also a Spanish book to his name (from 1969, over 450 pages incl. photographs) but that's the one I don't have or didn't see (or wasn't much interested in). The names with an asterisk (*) are only in the Dutch-translated version (of 1966, co-authored with above mentioned Gaspar). The names with a double asterisk (**) are only in the French version of 1967.
peterhrt, comme, msioux75 and 1 other person repped this. Here's a slightly odd but interesting list of Brian Glanville's top 20 best performers for the year 1967 (as published in IFB #10). It is not in order. At first I was a little bit puzzled by this selection but then I started to understand better where he might be coming from. To recognise and showcase the top players, a nice feature in many of the early editions was one by respected journalist Brian Glanville who produced biographies for a selection of his Top 20 players. 2) Furthermore, there is some more around when comparing it to the Ballon d'Or list (which made me understand his personal impression). - Florian Albert was 1st, but he certainly he received the recognition as much as for his entire career as his personal and team achievements in 1967. He had a good year nonetheless. "In the 1967-68 season I have seen less ease in Charlton's game than there was three seasons ago, but more wisdom and a new sense of responsibility. The sparse hair flops across the bald crown; the face is tauter than ever. No one can play eleven years of top quality football at his pace without showing the strain. But his speed still astonishes spectators and opponents." He was also mentioned for 1966 and I guess a couple of times previously (cf. reason #1). - Jimmy Johnstone was 3rd in the France Football/Adidas vote and he's in Glanville his list. Just as his Celtic team mate Berti Auld. - Franz Beckenbauer was 4th in the Ballon d'Or. His home magazine 'kicker' applied a rare downgrade to 'international class' to him at the end of 1967 (i.e. no 'world class'). - Eusebio was 5th and like Charlton I guess he was mentioned a couple of times previously (at least 1966, 1965 I see). Including friendlies he scored 45 goals (incl. 12 penalties) in the calendar year which was not his best total at the point of writing. In the 1964 calendar year he scored 69 or 70 goals (3 or 4 penalties) for example. In the year 1967 he scored international goals against Italy, Norway (two goals), Leipzig, Boca Juniors (2 goals in 2 friendlies), Glentoran, Spain (for FIFA XI), Atletico Madrid (two goals in a friendly) and St Etienne (penalty). - Pelé was not exactly at his best form either. This is not an 'all time greats' list, but thought it might be nice to post and share it here. Possibly still odd and contestable but after re-thinking a little bit more understandable (even though some might still merit a place among the best 20). PDG1978, msioux75 and Tom Stevens repped this. Anyway, back to lists from a career perspective. PDG1978 and msioux75 repped this. April 1970 poll by 'World Sports'. Sadly, the 80 writers could only chose from pre-selected nominees (though they could be placed on a different position as their nominal position). Those became printed on postal stamps, which explains why they made a pre-selection. Hence, some players received '0' votes. Invited countries to take part by 'the English' were (number of journalists in between parentheses): Argentina (3), Austria (3), Belgium (3), Brazil (1), Bulgaria (2), Canada (1), Chile (3), Colombia (3), Czechoslovakia (3), Denmark (3), East Germany (1), West Germany (5), England (3), Ecuador (1), Finland (1), France (2), Greece (2), Netherlands (4), Hungary (4), Israel (1), Italy (2), Northern-Ireland (1), Mexico (2), Norway (1), Poland (3), Portugal (1), Rumania (1), Scotland (2), Spain (3), Sweden (1), Switzerland (4), Turkey (1), United States of America (3), Union of Soviet Socialist Republics (1), Yugoslavia (4). 'World Sports' bears the opinion that international football only started since the 1950 World Cup, but for players active before 1950 (like Matthews) their overall career is considered. Line-up was given in traditional 1-2-3-5, "but this team could play 4-2-4, 4-3-3 or any other combination - and most of the players have at one time or another in their respective career." Voters weren't allowed to pick players from their own country. Even then, no player received a 100% score. Pelé came the closest with 76 out of 79. Yashin had 69 out of 79. Di Stefano 68 out of 77. None of the 80 voters picked the complete first XI. The single Israeli voter (Moshe Agmon) had 10 out of 11 right. Borbely (Hungary), Melcom (Spain), Aleksandrowica (Poland) and Jabrzemski (Poland, again) had 9 out of 11 right. Second XI: Banks (5); Nilton Santos (25), Schnellinger (31); Masopust (24), Ocwirk (18), Moore (26); Didi (16), Best (15); Garrincha (31), Eusebio (17), Gento (22). N.B. Vote count of '0' is, as said above, not a typo and mentioned as such in the magazine. Gregoriak, peterhrt, msioux75 and 1 other person repped this. A world football more democratic, nothing to do with top players only from the "big-four"
I'll reply to this in another thread. The 12th edition of Golesworthy his encyclopedia (1976) had these players below included as part of an individual entry. The book had a foreword by Stanley Rous. I'll post the introduction later. As I said, I will post the interesting introduction tomorrow. The oldest players included are Norman Bailey (b. 1857), followed by Goodall and Ross (botn born 1863). The youngest players included at the point of writing - 12th edition is dated November 1976 on the ISBN page - are Johan Cruyff (b. 1947), George Best (b. 1946), Alan Ball (b. 1945) and Gianni Rivera (b. 1943). Also Norman Barrett's 'World Soccer from A to Z' book (1973) had a glowing review in the Football Compendium - one of the best reviews - and imho rightly so. Next to other subjects it had over 500 players covered, although the biographies varied in length (and not dependent on 'quality' or legacy of the player). I posted that one here. I can maybe add the country and date of birth but that will take time. This one is excellent. Good coverage of players from many countries. "Kicker" is from Nuremberg, not Munich. For outsiders it might look that Nuremberg and Munich are close but Nuremberg is the capital of Franconia and the Franconians (who are protestant) dislike Munich and the Bavarians (who are catholic) since Franconia was allowed to be annexed by Bavaria due to Napoleon's ruling with Munich the capital and thus superior to the Franconians and Nuremberg. I merely meant in the quote that kicker is from West Germany. Nothing more, nothing less. They had - compared to a France Football - a heavy focus on their national game. This can be substantiated with a couple of old articles, from the top of my head an 1987 overview of European football magazines in World Soccer. I'd be surprised to know that kicker recruited most (or a significant share) of their editors and journalists from the inner city of Nuremberg (or were moved forward by people there). Whether the surroundings of Nuremberg (city-base of the former record champion 1. FC Nüremberg) were allergic to Bayern Munich - or overwhelmed Parisian-style - is not what I meant, and this is also not really the thread to cover and discuss it in detail. The subject is also confounded by the usage of the present tense, which doesn't make it easier to formulate a reply. For the near present, this is a useful map. For the past, there is a book by the historian Wolfram Pyta called "Geschichte des Fußballs in Deutschland und Europa seit 1954" (2013). In there the membership and supporters data is used, starting in 1964. Excerpts can be read on google books, or the full book (and maps) can be accessed in a library. It is difficult to summarize this in a few sentences but I'll try to do it proper justice: the geographical center was unsurprisingly in the city and the areas near the city. The force of attraction found a boundary, a softening hurdle, in the state borders to the north and the west. State borders were less of a factor to the south, they were notable more successful in Austria (Tirol) and Switzerland. The weakness of city rivals 1860 was that they couldn't make the association and identification with the wider province and rural areas, hence their force of attraction ended 5 miles away from the city (also with respect to business and politicians). 1860 Munich was surpassed in membership and fans as early as 1966 and 1967 at the latest. Uli Hesse his recent 2016 book has also a few useful bits to complete and color in the picture, with respect to 'heartland' and press coverage (plus angry letters by readers). Either way, this was not what I meant and I don't want to spend too much space on it (in this thread), the more so since the present tense has been used. I've given four references above. I made a start with this and so far it seems as if the youngest players included are from 1949 (Cubillas, Clodoaldo). Kenneth Wolstenholme - BBC match commentator but most will know him - wrote in 1968 "the Pro's". In the introduction he writes: "Perhaps it is wrong the include players who have retired or who are in the twilight of their careers, but could you seriously omit Puskas, Di Stefano, Masopust, Gento and Yashin? To include them may be gamesmanship, but, I submit, acceptable gamesmanship. To omit others is... well, I apologize." The first chapter is on both Puskas and Di Stefano; the remainder is in alphabetical order with one chapter per player. The last words on this book must have been written at the end of 1967 (maybe first month of 1968). The oldest players are of course Puskas, Di Stefano and Yashin from the 1920s. Then there are Gento and Masopust from the first half of the 1930s, followed by Coluna, Picchi, Popluhar and Suarez Miramontes from the year 1935. The youngest is (again) Johan Cruijff followed by the respectively 11 months and 12 months older George Best and Anatoli Byshovets. George Best also shares with him that he's the only included player from his country (although Northern Ireland is part of the UK). Another one that I had for a while (with the names posted previously) and with a good review in the Football Compendium. "An excellent reference source covering the history of soccer in [...] with much additional material on famous players, great matches and tactical development." The Hamlyn international book of soccer (1977) was made by Michael Archer, Peter Arnold, Christopher Davis, Paul Gardner and Martin Tyler. A few 1950s born players enter the scene now (by 1977). Apparently it is the first time I had to write the name 'Johnny Giles' too. The 12th edition of Golesworthy his encyclopedia (1976) had these players below included as part of an individual entry. I just checked the 11th edition (1973) which I thought I had got rid of but it had the exact same list of names. Good book actually and better than I remembered. I agree with Peter that the Barrett book is also excellent. Yes interesting (despite being outside the scope, but still nice to see). The youngest inclusions here are John Barnes (b. 1963), Ruud Gullit (b. 1962), Ian Rush (b. 1961), Diego Maradona (b. 1960) and Gary Lineker (b. 1960). The next non-British inclusion - behind Gullit and Maradona - is Michel Platini (b. 1955) if I'm not mistaken? The likes of Michael Laudrup (b. 1964), Marco van Basten (b. 1964), Lothar Matthaus (b. 1961) and Franco Baresi (b. 1960) miss out here. Who tended to do very well in a couple of the 1995 and 1999 lists of a few years later (the ITV top 40 of two years later, 1995 FourFourTwo, 1995 Super Onze d'Or, the 1999 IFFHS vote, 1999 France Football player of the century, 1999 World Soccer etc.). What is personally find interesting is the way that older players are moved out to make room for the newcomers. By the 1970s the only pre-WW1 player consistently being rated so highly was Steve Bloomer, whose goalscoring made him an obvious choice. All the other greats were now passed over or forgotten. Phil Soar and Martin Tyler released a book "All-time greats" in 1974. It is effectively a more exclusive selection of players from the "Marshall Cavendish book of football" (1970 - 1971), only updated until the end of the 1972-73 season. The back of the title page says: "Most of this material was first published by Marshall Cavendish Limited in the partwork Book of Football". Copyrighted "1971-72-73-74". The oldest player is here G.O. Smith (1872), then Bloomer and Meredith from 1874 and Crompton and Woodward from 1879. The two youngest are again Johan Cruijff (1947) and George Best (1946). This time around there are four Northern Irish players included though (cf. Kenneth Wolstenholme's 1968 work above, where Best was alone). I've now also ordered Jimmy Hill his 1978 attempt with 100 names (interested in which 1950s born players pop up). Unless you have it already? From Allchurch to Zoff it is said. Ah, received it and got it here too. Jimmy Hill was an often colorful and sometimes criticized pundit and analyst on television (among many other acts). "The 100 great soccer stars analysed by Jimmy Hill are listed below. The players appear in alphabetical order throughout the book." His youngest inclusions are Blokhin (b. 1952) - who is rated by Hill -, Keegan (b. 1951) and Bettega (b. 1950). Billy Bassett (b. 1869) is the oldest. Remarkable is that this is the first time (in this thread) that I come across the name Didi, except for Ivan Sharpe's his 1962 calls. This was after the 1978 World Cup and from my perspective that makes it the more remarkable there's only one Dutchman in (cf. Eric Batty, Glanville, MacDonald and Jackie Charlton). This are usually the same people who don't rate Cruijff that highly (Jimmy Hill however does). I do like it that he gives goalkeeper Viktor his share of fame (for euro 1976 - where the most prominent press vote had him as best player).